Having been creating atmospheric, dark and truly beautiful doom inspired noise for the past decade, Little Rock, Arkansas natives Pallbearer, finally broke through the barricades of the underground metal scene with their breathtaking third album ‘Heartless’ in 2017 and have been surging upwards ever since. Having laid waste to Bloodstock Festival earlier this year to a full-house capacity on the Sophie Lancaster Stage, it’s evident that the hard work is finally beginning to pay off and legions of metal fans are gleefully discovering their hypnotic and complex servings of doom. Joesph Rowland gives us the insight into the bands latest album, news on new material and the forthcoming North America date with System of a Down and Incubus. OD – There are not many bands that can release a debut album and get the level of critical acclaim that you guys got on ‘Sorrow and Extinction’ back in 2012, then smashed it with ‘Foundations of Burden’ and then last years ‘Heartless’, what’s the secret? JOSEPH – I don’t really know man, I think it has got to do with the fact we love playing together and we’re constantly pushing each other’s horizons, and become better players with each record. We set the bar really high for ourselves, and don’t really think about what people think of the record. As long as all four of us are completely on the same page through the whole process and unified in the idea of what we’re going to do. We’ve been lucky enough that people have been really into that. OD – You’ve been out with Obituary in May and June in the US run of dates which, to be honest, wouldn’t have happened back in the day as genres were so restricted with keeping the same style bands on the bill. 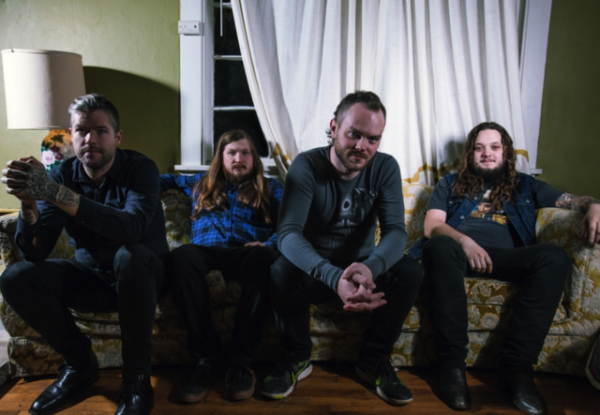 How did those crowds take to Pallbearer? JOSEPH – It was interesting, we didn’t know what to expect. We tailored our setlist towards our more aggressive material compared to our the more pastor, emotional material that we have. In the beginning, there were people with their arms folded, grimacing, but in the end, we could see people headbanging. I’m sure there were still some people every that that weren’t into what we were throwing out, but it was a lot of fun. I think tours like that, the diversity that’s available nowadays is a really positive thing and can lead to new sounds, influences and more freedom to tour with way more bands. 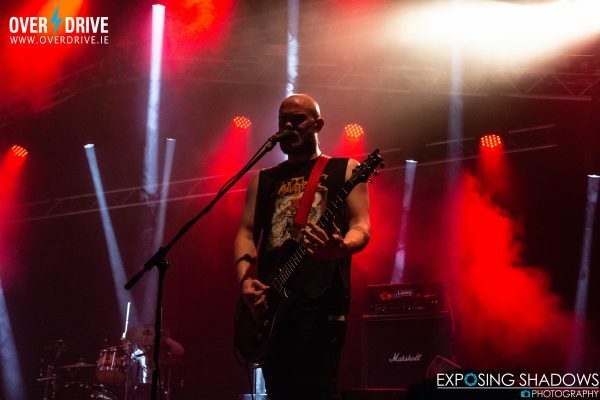 OD – There are so many bands out there to discover, so having mixed genre tours is a good thing. 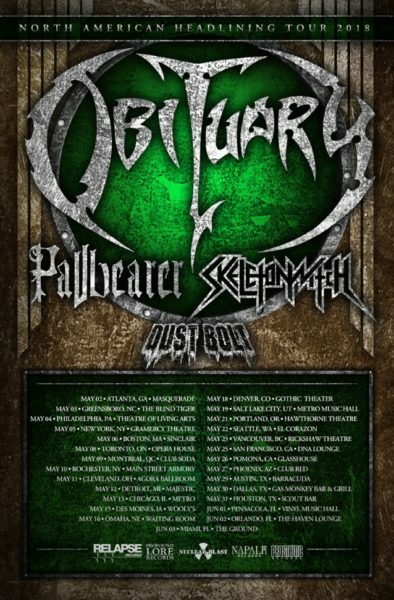 Do you find that there is a surge of interest in the band online in certain cities that you’ve played, say on the Obituary tour? JOSEPH – I think that’s the beauty of the internet, people are able to access all kinds of music in seconds, and it helps people diversify their music taste a little bit. Yeah, there is the curiosity of people that want to check out the other bands on the bill either before the show or they get hooked when they catch a live show and then start to investigate some more, hopefully becoming a fan of the music. 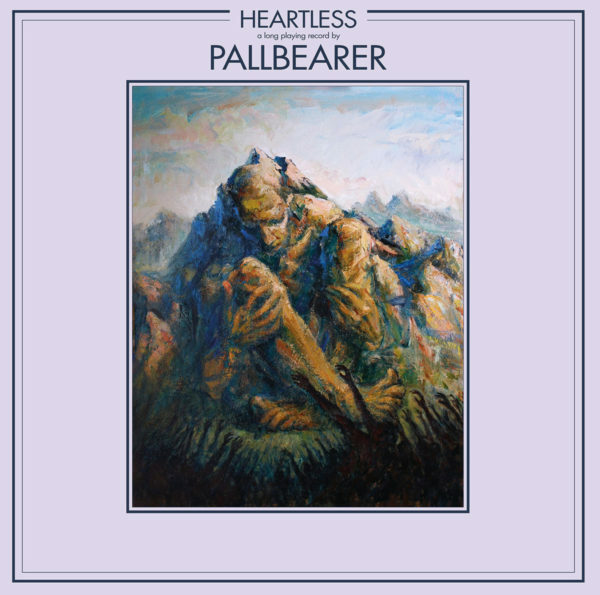 OD – With regards to the evolution of Pallbearer’s sound, the last album (Heartless) is gonna be a bit of a task to follow. Have there been any new ideas or new music that you can share with us? JOSEPH – We’ve already been working on new material for the next album in the moments that we’ve had home, it’s hard to write on the road. We’ve messed around a little bit when we were on the Orbituary tour, we had a little battery powered amp that we would break out every now and then. I think the more experienced we get as songwriters, the songwriting seems to come easier to us than it used to. Sometimes it used to take a year and a half to write a song. OD – You guys have mentioned before that some of the tracks on ‘Heartless’ were as old as ten years! When most labels tend to breathe down your neck for the follow-up, are you worried about the writing process for the next album, or do you feel the best thing is to let it come together organically? JOSEPH – Yeah, it’s getting more streamlined I would say. We tend to just follow our instincts and let the music do the talking (laughing). We like to get a lot of things in order before we record. OD – Yes, I know you’ve said that you’re pretty meticulous about having completed music before entering the studio. Would you ever take a chance and just write and record, for the pressure of that challenge maybe would just morph and create the intensity of the music? JOSEPH – We’ve talked about doing something like that, maybe not for our more expansive full-length albums but maybe for a 3 or 4 tracks EP, instead of our usual approach of taking a fine-tooth comb through every part – taking the opposite approach, just go in with a bare-bones idea and just flesh it out. OD – Mastodon obviously do that with their EPs, and At the Drive-In do that a lot in between albums. JOSEPH – I think having that opportunity to feed off the nervous energy of the studio that ends up fostering… it would be interesting, I’m not sure what the outcome would be since we’ve never written that way before, but I would be curious to see how that might go. OD – That would be very cool to see! A lot of bands that I’ve been talking to lately have been working on either building their own studio or have done and have never looked back. Would this be something that you guys would be interested in doing? JOSEPH – I think at some point we would end up doing that, even if it’s just pre-production, or record portions of the record before going in, so it’s a little bit more built out. We’re really big fans of recording on high-end analog gear. Being able to build up a studio that has that quality of gear would take a lot of time and money – I don’t think we’re quite there yet, but that’s definitely a dream! OD – Having heard ‘Dropout’, was that part of a new batch of ideas or was that some ideas and material that was from some of the previous album writing sessions? JOSEPH – ‘Dropout‘ actually was a song that Brett (Campbell – Vocals/Guitar) wrote. He wrote the basic idea in a day, and then we just worked on the rest of the track until we were happy to record. All in all, it was a quick process and turned out great. OD – How did the Adult Swim connection come about? Was that just a shot in the dark and they just approached you? JOSEPH – We got asked by Adult Swim to put out a single. We had several new songs floating around and that was the song we decided to go with. OD – Would you ever see yourself as doing something like that with them again? JOSEPH – Yeah, absolutely! I really enjoyed the process and then seeing it used for Adult Swim’s eclectic Singles Program project. OD – Very good! Of all the bands that are currently producing new music and working their way up the ladder of success, who would you most like to tour with? JOSEPH – Actually, Code Orange is one of my favorite newer bands, I know they’re not that new but that’s a band I’d love to some shows with at some point. We played SXSW, years ago. I don’t know them personally, but that’s definitely something that would be cool, even if it’s just two or three shows. 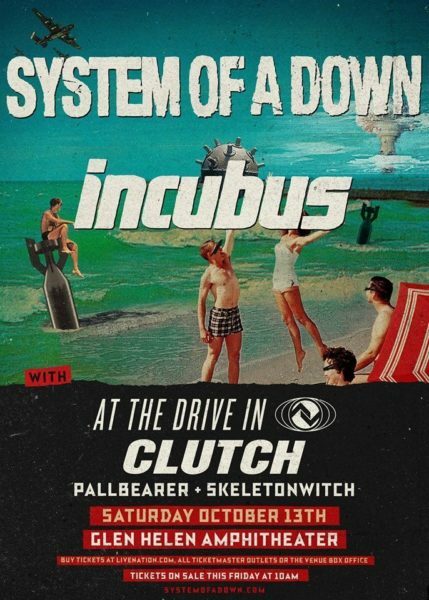 OD – October 13th will see you sharing a stage with System of a Down, Incubus, At The Drive-In, Cluth and Skeleton Witch. How did that come about as it’s a pretty versatile line up with regards to genres? JOSEPH – SOAD approached us! I couldn’t believe it. Daron Malakian got in touch with our management about us doing the show with them. I don’t know any other details besides that. JOSEPH – … Incubus and Skeletonwitch! OD – That’s such an unbelievable line-up with a lot of bands that are not really part of the same genre! JOSEPH – Yes, it’s a little left of center but in a way, that’s what makes it so exciting. We know that there are going to be people there for other bands, but hopefully, they will walk away finding out about some other great bands and who knows it may just influence them to check out a whole sub-genres of underground music. OD – One more thing about the albums, about the art-work for Pallbearer covers. Who is responsible for that, or is it a collective decision? JOSEPH – It’s a collective thing, we discuss the mood and intent behind the emotion of the album. We have a few different artists we work with so far. Most recently, the last three covers were created by our drummer’s brother Michael. OD – Did he do that digitally or on canvas? JOSEPH – It’s oil painting. OD – Finally, do you collect vinyl records, and if you do, which cover of what album got you for the very first time, as the artwork should reflect what the album sounds like? 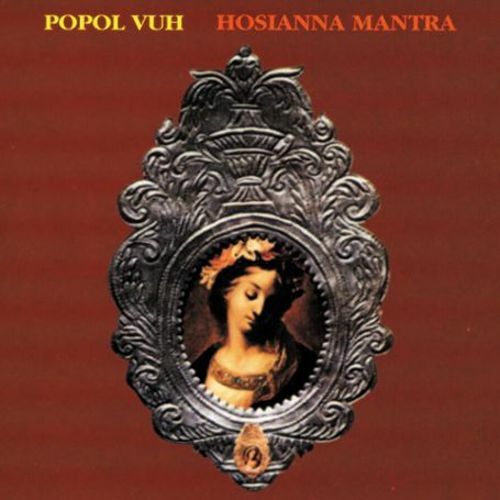 JOSEPH – It’s not one of the most striking out there, but very memorable to me; ‘Hosianna Mantra‘ by Popol Vuh. It is this religious icon inside of a silver frame on a maroon cover. 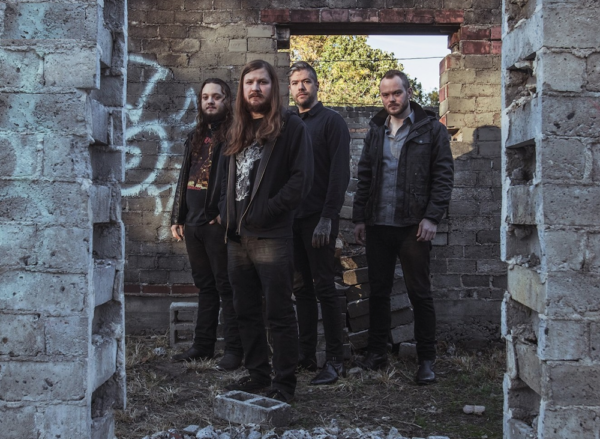 Pallbearer’s “Run Like Hell” cover is part of a Pink Floyd The Wall tribute album by Magnetic Eye called THE WALL [REDUX], a stoner/doom-leaning compilation of tracks that match that of the iconic LP. Pallbearer will be hitting the road in North American with System of a Down, Incubus, Clutch and Skeleton Witch later this month. Please check the official website for details. The bands latest album ‘Heartless‘ is out now via Nuclear Blast. Order your copy here.